It seems like ages but it was only six months ago that the good and the great in both mainstream and social media declared that Arsene was either deluded or senile for deciding to not sign an outfield player in the summer transfer window. The rags who are supposed to be “fair and balanced” did not disappoint with the usual outlandish reporting. Arsenal fans are left to rue another non-eventual window which leaves them short in attack and leaves question marks concerning their strength in depth for the season ahead. By now most of you are well aware of my strongly held conviction that most of the reporting on Arsenal by the mainstream media is designed to fit a negative narrative towards our club in general and the manager in particular because it has proven to be commercially successful to prey on the fickle emotions of the fanbase. The majority of the latter have been conditioned to believe the club must overpay for success, as achieved by City and Chelsea, without regard to the well known risks of the club crashing and burning. Unfortunately much of Arsenal twitter and bloggers simply accept the falsehoods of the mainstream media, re-echo it uncritically, in their drive to build readers and followers. Six-months after all that wailing and gnashing of teeth about the lack of signings, apart from the fact the club is now 3rd in the Premier League, there is sufficient data to demonstrate that the fear-mongering has been grossly off-the-mark. The web site WhoScored.com has a ranking of the best 300 players in the Premier League and it makes interesting reading and analysis. The key critieria in making their ranking is Goals, Assists, Yellow cards, Red cards, Shots per Goal (SpG), Pass Success percentage (SP%), Aerials Won and Man of the Match (MotM). Apart from MotM, which I regard as quite subjective given it depends on the opinions of the adjudicators, I think this is a fairly objective measure. My analysis focuses on the top 100 players only. The following are my findings. It is self-evident from the table that, after 23 games, in general the top teams have the highest number of top-100 players league-wise. I did a statistical test which indicated there is an 85.3% correlation between the number of players a club has in the top 100 and their current league position. No surprise to those of us who have closely followed the rebuild of this squad, AFC is currently sitting 2nd in the number of top-100 players. Arsene was reviled by the yellow-media for affirming he had, with the addition of Cech, sufficient quality players to win the title. The above table informs us that his assessment was spot-on. Surprising to me, at least, that top of the charts was our North London rivals with 11 players in the 100-best. Surely this mid-season superiority over Arsenal justifies the making of a triumphant DVD. On a more serious note, the data confirms a growing quality in their squad making them a real threat in the title chase. Leicester being 5th in top-100 players in contrast to being top of the league. United with only 4 top-100 players but currently holding onto 5th position, in comparison to say West Ham with 8 in the 100-best but lower at 6th in the league. Chelsea with a similar number of top 100 performers as United but 8 positions lower in the league. Significantly Leicester goes to the top of the table reversing position with Tottenham. A statistical test revealed a mere 68.2% correlation between the Average Score and League Position. I concluded this was a fairly useless statistic. This table suggests, rather conclusively, that the greater the number of players a club has who are functioning at a “top-top” level then it is more likely they will achieve a higher league position. In fact the correlation factor is 85.6%. This is almost equivalent to the score derived from the first table which ranked position by Number of Players a club has in the top-100. By weighted score, Tottenham and AFC, in that order, are clear leaders. With City a distant 3rd, there is a suggestion they may have overachieved in terms of league position but with Aguero returning to form after an injury spell their player average could rise in a hurry. In the case of Leicester there is a suggestion that with only 7 players functioning at a top-level that their League position is overstated. Who knows? I would be cautious making any predictions with these scores but it is fairly conclusive that to date the Arsenal squad has been very competitive compared to those who spent “gazillions” supposedly reinforcing their squads last summer. Once again, despite the detractors, there is further proof that Arsene Knows Best. Going into the run-in, the only member of that group currently injured is Santi Cazorla. In contrast Alexis Sanchez and Francis Coquelin have just returned from the physio-room, rested and raring to go. Without worrying whether our rivals are healthy or not, the upcoming weeks is surely an opportunity for our club to lay down a marker by performing to the very high levels we saw between October and November. Unlike the media, which thrives on emotion, in the silent statistical world, there are no headlines. There are no narratives. No excuses. No hope and no despair. Just data. My goodness me Shotts that is a very impressive analysis. It will take more than one careful read. The input or impact Cazorla has had to this squad has been huge and he’ll be missed. Hopefully the other returnees like Welbeck can help make up the difference. Shotts – you once said you were surprised I churned out the guff and half baked baloney of my posts without any time to prepare. It takes you ages you said to come up with a post. I think we can all see why. You actually put work and thought and analysis into your posts. Bravo sir. Steww @ 11:04 am – Far from being “guff” and “baloney” I admire your ability to motivate and inspire us with your writing. Those left-brained types like myself have to do the dull analytical stuff. Lol. Fins: Don’t be surprised by a Coquelin-Elneny central midfield combo with Ramsey back out on the right. That may be how we adapt to Santi’s absence. I’m not gonna lie, most of that data is a bit of head spin. What it does confirm though is that the reality of being a top level manager is a lot more complex than ppl Gary Neville told us it is. Thx for the breakdown Shotta. You are challenging the readers to get out of their narrow cages and explore other cages to comprehensively understand these complexities. And the very least we should do is listen so that we can understand, rather than listen to rebuttal. I need to read this again later when I have a bit more time. A5: Nothing like an Arsenal-Tottenham rivalry to get some attention. Labo_Goon and others: I could have dumbed down the analyis and cherry-pick the data which which makes Arsenal and Arsene look good. Afterall WhoScored is mostly used by transfer junkies who are playing FIFA16. But I think much more of my audience here at PA. George and Andrew set up this blog to be different from the usual guff we had to endure. Tottenham have 11 of the top 100 players on the PL? I know they are having a very good season – by their standards – but come on!? Sorry Shotta – I’m not trying to shoot the messenger. looks like Debuchy is off to Bordeaux on loan, reports say AFC refused Man Utd’s approach to loan him, and oddly Remi Garde say Arsenal were willing to sell MD to Villa but not loan him, and AV only wanted a loan deal. Wenger confirmed today that Rosicky has suffered an injury, but also told the journos that their information that Wilshere has had a set back is wrong, and that Jack should be back fit in 4 weeks. AW also said Welbeck might play for the U21’s on Friday. with the transfer window closing in 9 hours I really don’t know why Arsenal have not shown “ambitions”, and “forced Dortmund to sell us Aubameyang”, after all it is that simple. great news from Man city, Pep taking over as manager in the summer. We will finally be able to judge him on how he manages at a club with limited funds and an ordinary squad. He’ll show us how its done, and finally Wenger will be shown up as the fraud we all know him to be. Really enjoyable read Shotta-thanks for your hard work on that one.Strange how stats and league pos.are a bit like that which we call reality(league pos) and then the quantum mechanics that are around us(various dimensions etc). Will be interesting to see the stats and final positions at the end of the season, I hope you can do part two then?You deserved the amount who have clicked on this today.Cheers! Shotta, I admire your fortitude! 11 Spurs players in the top 100??? BUT, BUT, Walker in the top 100 ? Rose in the top 100 ? I agree facts are data and performance is data. WHO sorted the data, who is the culprit? NOTH – The scepticism towards the WhoScored data is healthy but I wouldn’t throw them out because they don’t coincide with our animus towards Spurs. Data has no agenda. It is how we interpret it. To me the data is saying Spurs are a credible threat based on the past 23 games. Excellent well researched post Shotta. I wish I understood statistics more to really appreciate it, but it’s very interesting to note that perhaps spurs have invested the Bale money more wisely than we thought and also got themselves a decent manager. Those of us who have been spoiled by years of Wenger keeping us more successful than the noisy neighbours may have to get used to the idea of a period of spurs success. As someone with a couple of spuds in the family, that is going to be a challenge! Thanks Pass. Hopefully the stats are not too formidable. I suspect what is putting people off are those 3 lengthy tables which I listed mainly to show how I came to my various findingss. Being smart you focussed on the conclusions, not the noise. You share my concern about the threat posed by our neighbors now that they have a decent manager. By the way: my daughter’s boyfriend was quick to observe that City, the club he supports, seems to be underperforming and is quite optimistic. It is obvious that we human’s have an agenda, not the data. 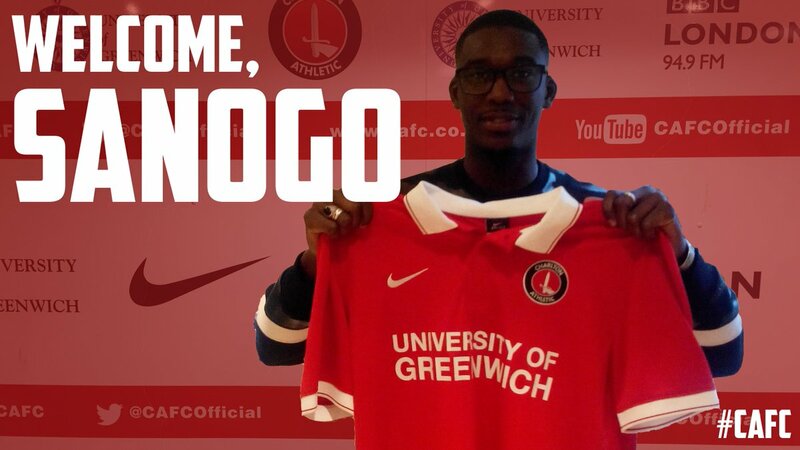 rumor that Yaya Sanogo is joining Charlton on a full time basis after being on trial with them for the last week, Gnabry has held talks with Charlton and Brighton, with Fulham also in the mix for his short term loan. ha ha ha, the WOB are at their usual game on transfer deadline day, they are putting out fake Arsenal transfer stories so that when we don’t sign the players they are linking us with, they can claim Wenger/Arsenal dithered/fucked up the move, or left it too late. It will get them clicks from their mates. Impressive research! Seems to confound a few widely held opinions out there. Going against the point of this article, and Adding gut feel to this impressive array of data, I think Spuds are going to run out of steam and pick up a few injuries, unless they are on something, or their coaches know science the others don’t. Bielsaball is difficult to maintain over a whole season in this league………..but we shall see! It’s not so much a case of Levy spending the Bale windfall wisely (SOLDADO + others!!!! I now have laughter lines) but that THFC have spending cash like there’s no tomorrow for over a decade and are probably just below Liverpool and the big over-spending three (Utd and the Petro Clubs): if Tottenham were not performing like this you’d worry for Lewis’ health and Levy’s safety. Ok, maybe you wouldn’t, but you know what I mean. They’ve spent a shed load of wonga. Most of it on proper bobbins. As Steww observed last season their best signing has been the manager and hopefully he’ll be off in the summer. Aaron Eyoma has signed his first professional contract with the club. The Hale End graduate, who can play at both right-back and right-wing, has impressed with his pace and technical ability throughout the club’s youth ranks. This season he has been a regular for the under-18s, as well as featuring in the UEFA Youth League and for the under-21s. Everyone at Arsenal looks forward to Aaron’s continued development with the club. Stoke City spend more money on a player than any other club in Europe. Ramires is the most expensive purchase globally. Six players signed by Euro clubs for £10m+ (Shelvey, Townsend, Imbula, Niasse, Gerson, Afobe). 18 international caps between them. ….Maybe they do know that that’s why they didn’t? The nine offered deals do not have to accept and till they sign up there is always the chance some of them could decline Arsenal’s offer. Jordan Perrin and a couple more lads have been told a final decision on them will be made within 2 weeks, 4 weeks at most, as under the rules the last date of an offer is March 2nd, these players are now free to talks to other clubs but can not go on trial with them. The lads that had their decisions delayed are not at all pleased about it, as Arsenal’s stance is we’ll let you know it 2-4 weeks, but of course you can decide now not to wait for our decision and leave now and try and fix yourself up with a new club. What these lads have to decide is do they hang on for 2-4 weeks in the hope AFC offer them deals, and in so doing, maybe miss out on getting a new club, because with all clubs releasing players now, clubs will be making offers to players who they can offer deals to, or even give trials to now. Seemingly some of the Arsenal lads left in limbo are talking about not attending training till a decision is made, which sounds the totally wrong way to go about showing Arsenal they have the right attitude to make it here. But it does seem to be bad form by Arsenal to leave a few players in this awkward position. Surely they should know by this stage if they want to keep the lads or not.